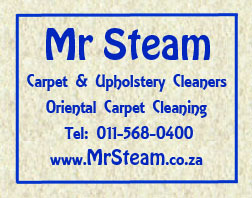 Welcome to Mr Carpet’s brand new web site. We are excited about the richer experience that our web visitors will get on this new site. You’ll be able to get all the latest ideas from the posts on our news page and finding this right product will be easier using our product pages. In the Product pages you will find different categories of carpets for home, office, cheap, luxurious, hardest wearing, etc. Pictures will say a thousand words, but not much more than that, so it is important to meet with a consultant before making a final choice so that you can feel your new carpet and not just see it. Not just a pricelist anymore, but our online pricelist will remain our claim to fame because, as far as we know, we are the only carpet dealership that publishes there full pricelist on their website. Shopping for any product is just not good enough if you do not know how much it is going to cost you. Our pricelists will give you all the information you will need to work out how much your new carpets and under carpet heaters will cost you, but if there is something that you do not understand you can phone us or send an e-mail. Before you order your carpets a consultant will inspect the areas needing new carpets and give you an official quotation.